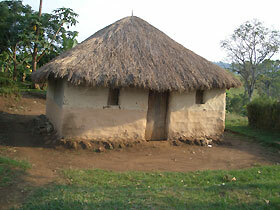 Went to Fort – Potal, and conducted field research on Tooro language and culture. 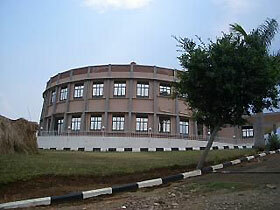 The Institute of Languages of Makerere University is a center of language teaching and linguistic research in Uganda. In addition to international languages such as German, French, and Swahili, some of Uganda's local languages are also taught and studied. However, not all languages are covered, but only some major languages such as Luo and Bantu languages including Nkore, seemingly for lack of human and financial resources. The former director of the Institute, Dr. John Kalema, is a specialist in Bantu languages, who has been to Japan twice to attend international symposia. We discussed ways to promote scientific cooperation between Uganda and Japan in the domain of linguistics. 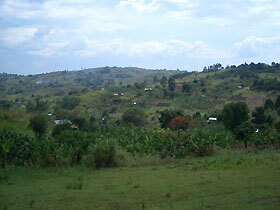 My main research interest in this area is a comparative study of Nyoro, Tooro, Nkore, Kiga, and Haya, which are all closely related Bantu languages spoken in adjacent areas from Western Uganda to North-Western Tanzania, based on the field research data I have collected. My focus has been the historical development of tone in these languages, especially because Tooro has lost its lexical tone, and in particular the process through which this has happened. My research during this trip was principally on this topic. One of the advantages of conducting field research in Uganda is the fact that the country is small and most places can be reached in five or six hours by car, traveling on well-maintained roads. 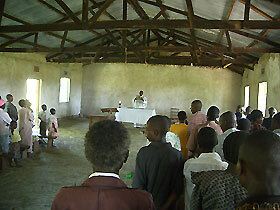 However, the Lord's Resistance Army is active in the north of the country, making field research difficult there. The border area of Uganda and Congo is a place where Bantu speaking peoples who originated from the border area of Nigeria and Cameroon, as they migrated around the central forest, began to turn southwards. Consequently, it is said to be home to archaic forms of the languages. For example, Konjo, which is called Nande in Congo, maintains remnants of the ten vowels of the proto-language in its system of vowel harmony. 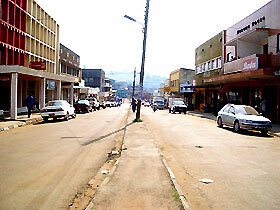 Tooro, by contrast, is strikingly different in that it has lost its tone system. 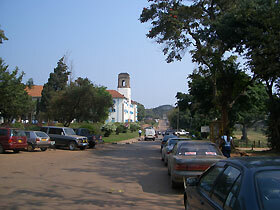 I completed my research on Nkore and Haya, and the research this time enabled me to gain a general picture of Tooro, upon which I began research some years back. I will begin investigations on Nyoro and Kiga in the near future, after doing detailed investigation and a review of the Tooro data.